Celebrate your shared eternal love with these beautiful entwined hearts! 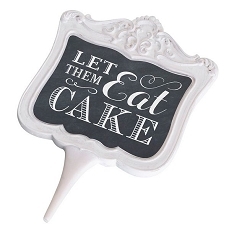 Use them as a cake topper and continue the theme when you place them as centerpieces on your event tables. A special event won't get more romantic than this with our intertwined hearts! 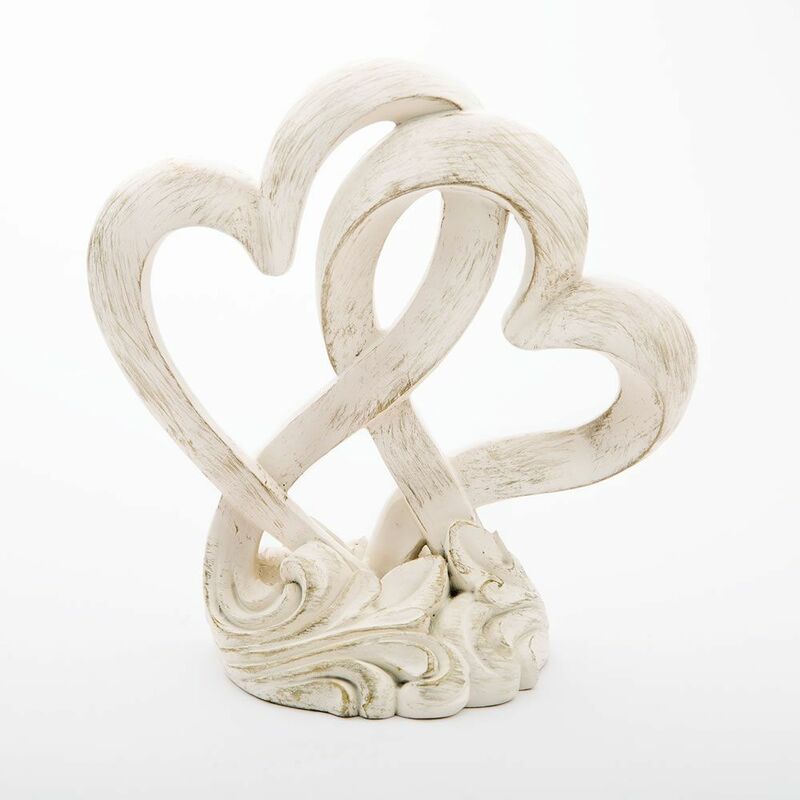 The hearts are crafted from poly resin and are hand painted in a vintage ivory color with rubbed in gold leaf accents for a stunning finish. 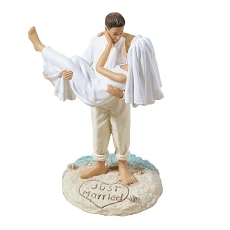 The intertwined hearts stand on a solid round base that has a detailed filigree design. Use the hearts as a cake topper and place them as centerpieces on your tables. 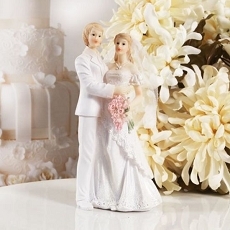 After the event, your guests will be thrilled to take one home as a reminder of your special day. Size 6" x 6" x 3 1/4"